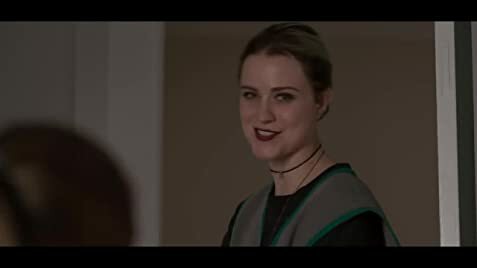 Montreal-based fine arts photographers Carlos and Jason Sanchez’s debut feature is a hard psychological thriller which centres on a 30-year-old woman (Evan Rachel Wood) embarking on an intimate yet ultimately manipulative relationship with a 16-year-old runaway (Julia Sarah Stone). But the woman, Laura begins getting really obsessive and prevents Eva from leaving the house. The relationship turns out to be something like the Stockholm Syndrome. Apparently, though no details are given, Laura has had the same type of ‘stalking’ problems before, as her dad, who employs her mentions in the film. The film is both disturbing and engaging though one can hardly look forward to a satisfactory or happy ending. Both actresses Wood and Stone bring compassion to their roles and show their need for normalcy. Unfortunately, as can be seen in the film, this normalcy is not easily to come about and the state of affairs come about from their own personal behavioural flaws. The film suffers from an open ended ending, which for a film like this, one expects some satisfactory closure.